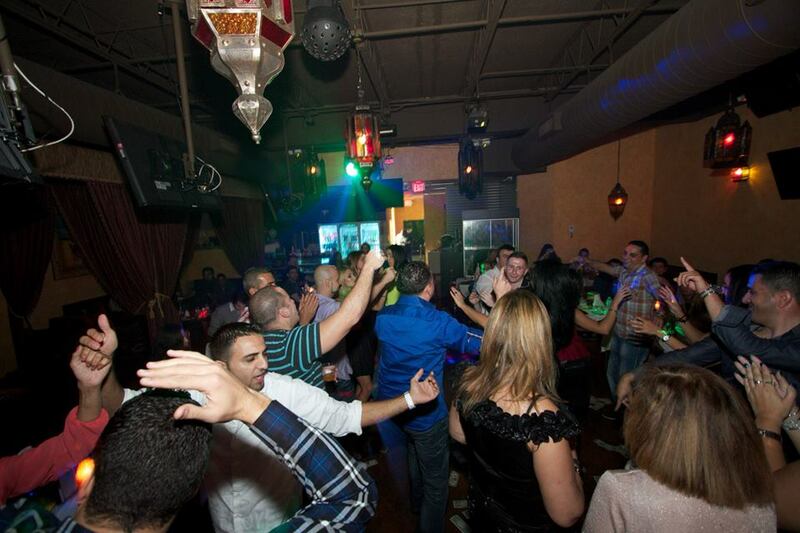 Kan Zaman Hookah Cafe is a modern hookah cafe. We offer a huge selection of exotic tobaccos, over 150 choices! 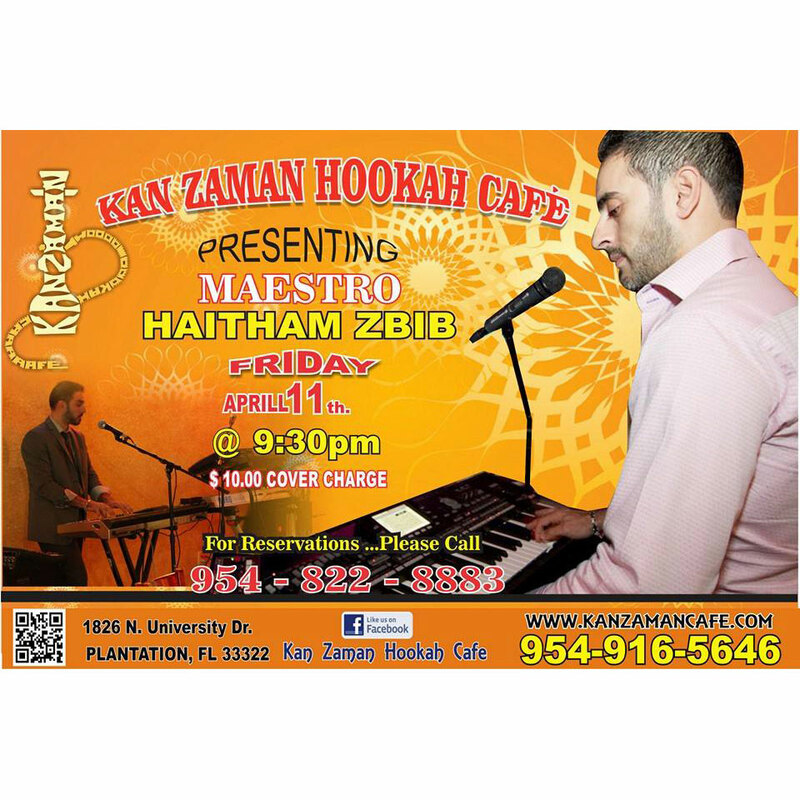 Kan Zaman Hookah Cafe, located in South Florida, in the North-East corner of Sunrise and University is your premier experience for evening and late night lounging. Work or study from our location with our complimentary WiFi and relaxed lighting and atomosphere. View our gallery, it reflects our recent events, company parties, client experiences and more. 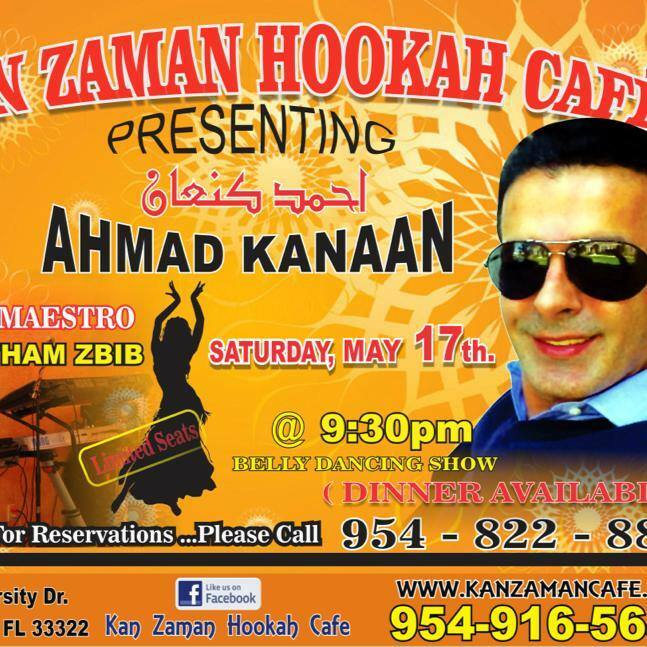 2015 Kan Zaman Hookah Cafe. All Rights Reserved.